The United States and Kenya agreed Monday to build a superhighway from Nairobi to Mombasa, the White House said. After President Donald Trump welcomed his counterpart President Uhuru Kenyatta in the Oval Office, the pair voiced support for closer economic cooperation "aimed at making their nations stronger and their citizens more prosperous," the White House said in a statement. The project, known as the Nairobi-Mombasa Expressway project would link Kenya's capital with second city Mombasa, a major Indian Ocean port. It is due to be built by US construction firm Bechtel Corporation. "Both sides agreed to undertake further consultations to conclude the terms of the financing agreement," the White House said. The two leaders also announced that their governments had established direct flights between Nairobi and New York. 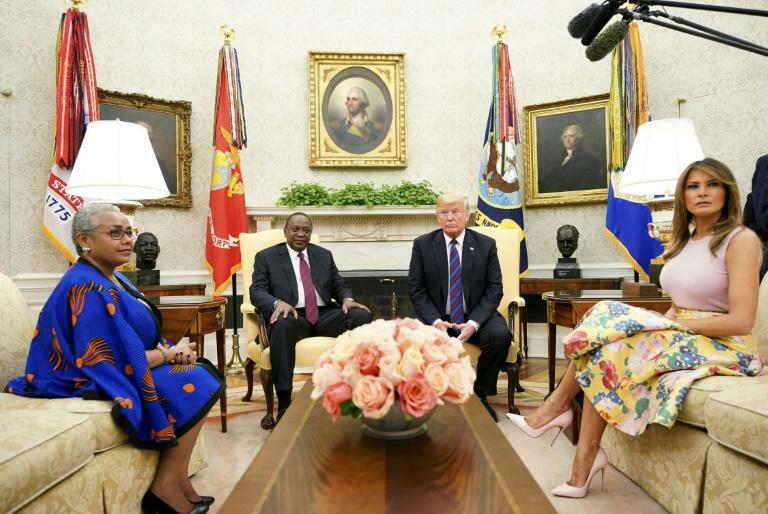 "This and nearly $900 million in other commercial deals and engagements announced during the visit are expected to create thousands of American and Kenyan jobs, further enhancing the prosperity and economic competitiveness of both nations," the statement added.